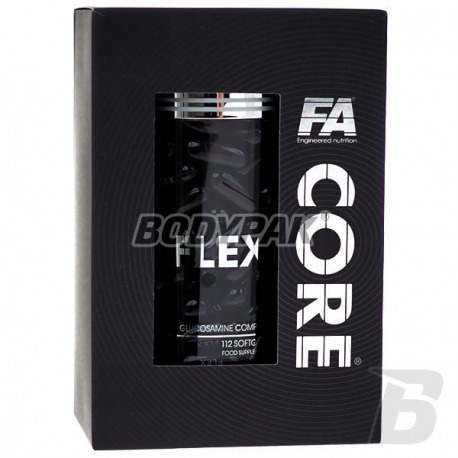 Joint HealthFA Nutrition Flex CORE - 112 kaps. 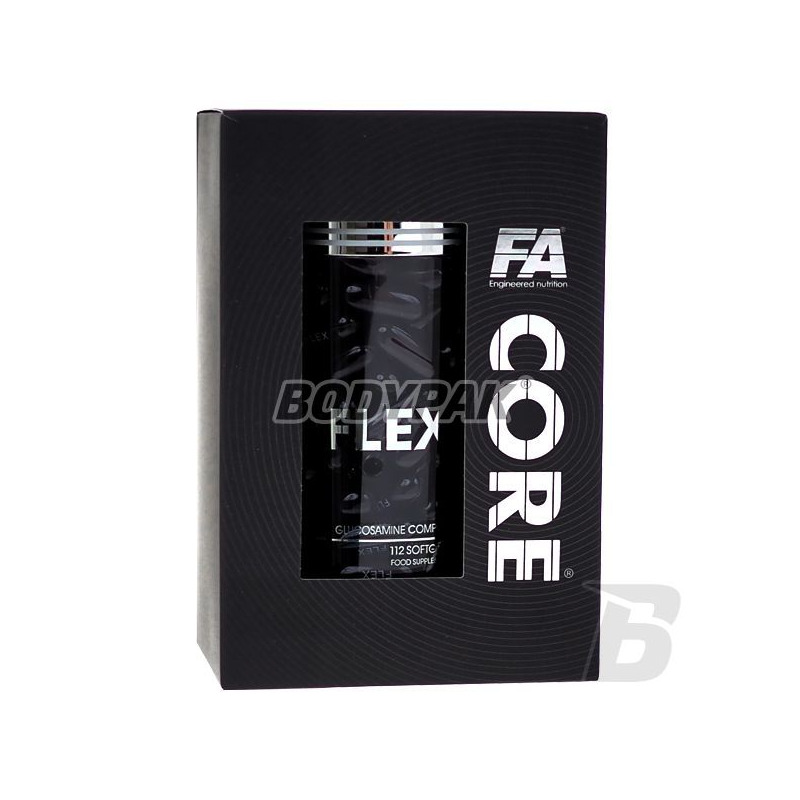 FA Nutrition Flex CORE - 112 kaps. Comprehensive preparation for joints based on all the important nutrients that affect the health and fitness of your musculoskeletal system. Support your body during hard training. Healthy joints are the basis of the sport! PROFESSIONAL SUPPLEMENT THAT EFFECTIVELY will take care of HEALTH, FITNESS AND FUNCTIONALITY YOUR joints and tendons! FA Nutrition CORE FlexCORE® a complex supplement nutrients for the health and condition of your joints, tendons and ligaments. It contains concentrated and synergistically active substances, which are responsible for the construction and reconstruction of articular cartilage defects and improve lubrication ,, "your joints. Intense exercise can lead to overload the consequent injuries and concussions. Flex is a special gel capsules for maximum assimilation and easy swallowing. The problem weaker condition and performance of our joints and bones is a real scourge of modern times. It affects the elderly (degenerative diseases) and younger (athletes). Intense physical exercise and training load in athletes faster wear of the connective tissue and articular surfaces. Prevention is better than cure. Thanks to systematic, cyclical refilling of active ingredients and minerals contained in the FA Nutrition CORE FlexCORE we have a much better chance of avoiding injury and injury, move the advent of congestion, pain and discomfort that may prevent us daily functioning. Ingredients: sunflower oil, gelatin shell (gelatin, glycerol color (caramel), purified water), glucosamine hydrochloride, linseed oil, extracts of ginger root, calcium carbonate, extract from rhizome of turmeric, beeswax, emulsifier ( lecithin ), chondroitin sulfate, vitamin C (l-ascorbic acid), an extract from the bark of incense, quercetin, vitamin E (acetate, D-alpha-tocopherol), bromelain, zinc oxide, manganese sulfate, selenate (IV), sodium hyaluronic acid. mógł sobie ~Pan kupic animala a jak nie to kolagen rybi i po problemie a nie narzekac !!! Produkt dobrej jakości. W przypadku przeciążania stawów dobrze pomaga chroni i wspomaga je. W tej cenie jakoś jest świetna. W tej cenie chyba chyba najskuteczniejszy produkt na stawy w kapsułkach. Mnie bardzo pomógł. Excellent preparation to support joint health! Take care to prevent and limit to a minimum the risk of painful injury. The high content of active substances! Primary dietary supplement that will ensure prevention of musculoskeletal system. High content of chondroitin and glucosamine significantly promotes regeneration of articular cartilage and synovial fluid production! The highest quality in each capsule!